Episode 44 - We are back! It's hard to select winners in golf, but Paul is on fire on the European Tour right now. Across the past 3 weeks he's delivered Matt Wallace at 40/1, a very near-miss with Lucas Bjerregaard at 33/1 and Ashun Wu at 125/1. Great tipping! This week sees a feast of great golf with the season-ending 30-man Tour Championship at East Lake Golf Club on the PGA Tour. Over in Europe, Sergio Garcia comes out of hibernation to play the Portugal Masters - a true, low-scoring resort tournament, where birdies are the currency. 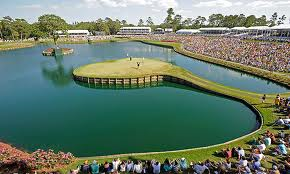 Steve also mentions 3 longer-price players he fancies for the web.com Tour Championship, played at Atlantic Beach CC in Florida, where it's the last chance for a host of players to get their 2018/19 PGA Tour card.